This What I Made Wednesday features a project that has been on my Pinterest list for a while now. 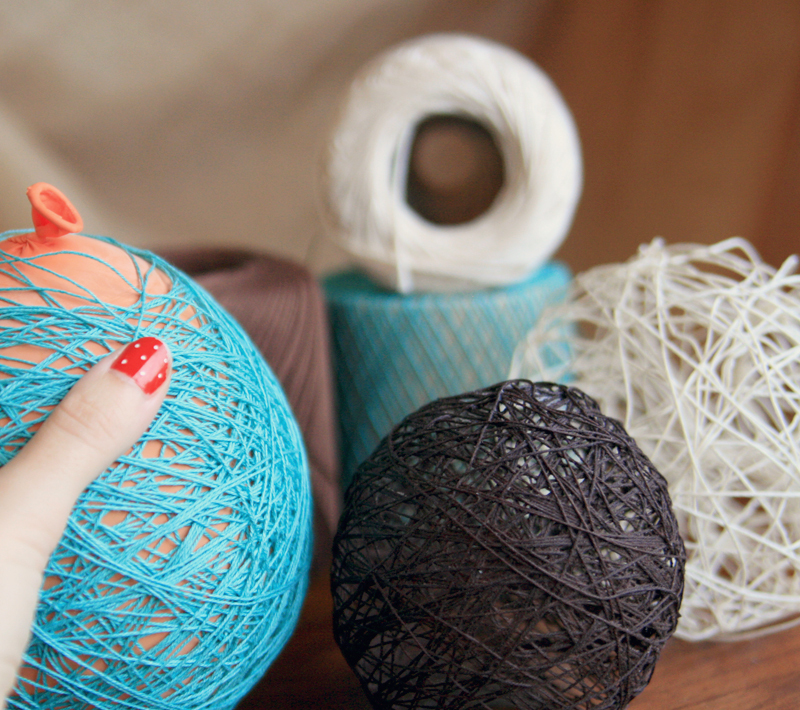 When I saw these gorgeous yarn eggs, I knew I just had to make some! Luckily, I had recently scored a big bag of colorful yarn at the thrift store. Chocolate brown, oatmeal and turquoise...oh yeah! 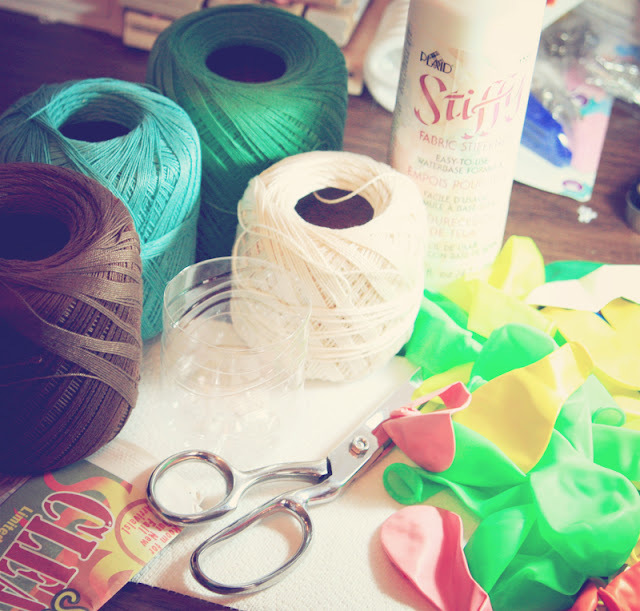 There are a few different tutorials online with variations on the glue and how to wrap the balloons. So after some trial and error, I finally decided on using "Stiffy" fabric stiffening glue. I also found the easiest way to get the yarn on the balloon was to wrap it completely dry, then dip in the glue. These are really fun but also very messy! I can't wait to string them up in my office! Have you tried this project yet? Brilliant!!! 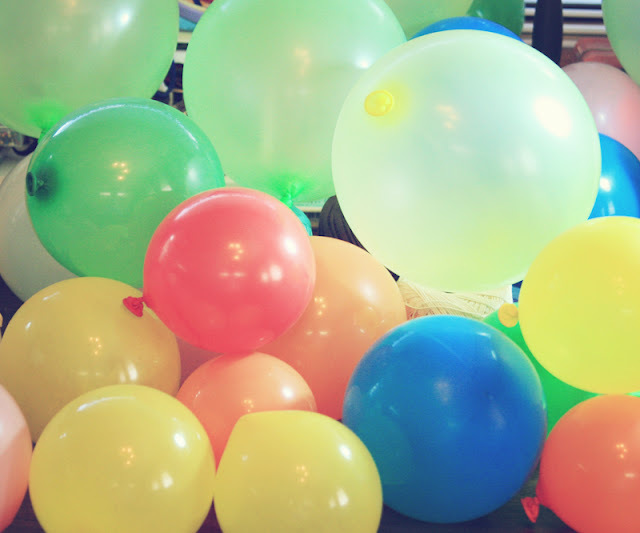 They look so beautiful:) Totally want to try it now:) Kisses, darling. ooo. fun :) i have yet to try it. hopefully sometime soon. I just found your blog and I love it. Your projects are fab and I too can't get enough of Picnik!! Thanks for leaving me totally inspired. thank you!! 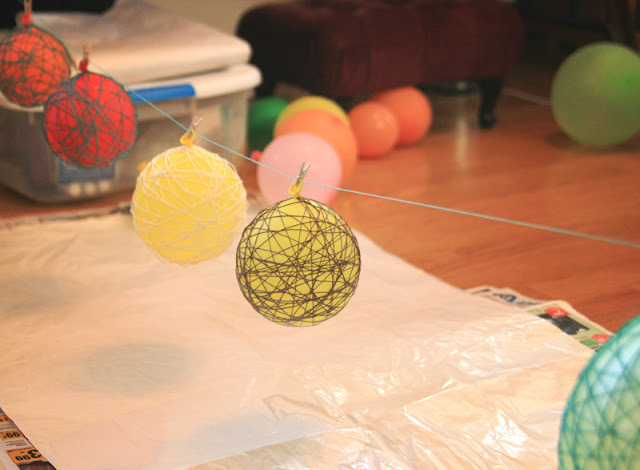 It's definitely fun but really messy! I just tried releasing a balloon last night but it was sticking too much and it took the yarn with it when it deflated. major bummer!